RNs at Johns Hopkins Tell Management to Stop Its Anti-Union Campaign! 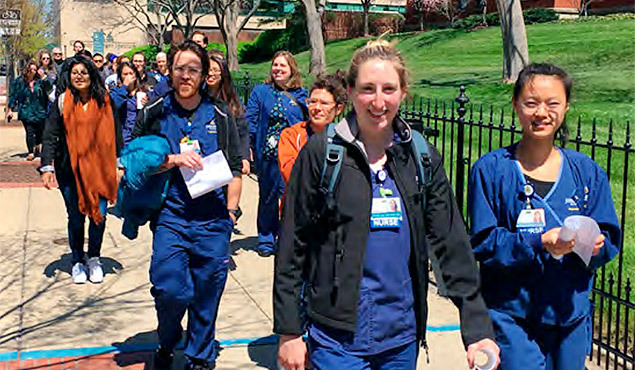 Thursday, April 18, at Johns Hopkins Hospital, a group of nurses walked into Deborah Baker’s office to deliver a letter that over 100 JHH nurses collaborated to write. 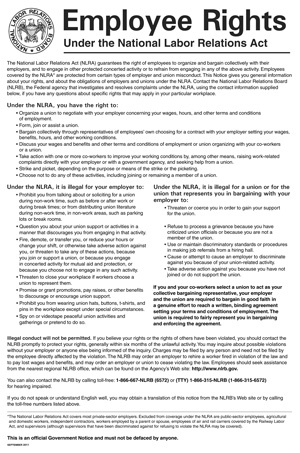 The letter asked management to end its anti-union campaign. It is our federally protected right to collectively organize to form a union, and the hospital has made many attempts to silence or interrupt our organizing process. Forty-seven members of the Maryland General Assembly today sent a letter to Johns Hopkins Hospital urging management to respect the rights of registered nurses to form a union, to stop interfering in their organizing drive, and stop using anti-union consultants to deny nurses their rights. The Baltimore City Council has adopted a resolution, introduced by City Councilmember Shannon Sneed, encouraging Johns Hopkins Hospital to allow nurses at the hospital to conduct union organizing activities without interference. As Johns Hopkins Hospital keeps up union busting the National Labor Relations Board steps in. Last month we shared the story of RN’s from Johns Hopkins Hospital declaring their intent to organize a union with National Nurses United, the nation’s largest organization of Registered Nurses.